A straight-through serial communication and 5V power cable. 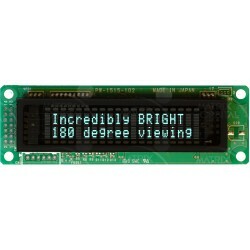 The MOS-AL162A is an economy 16x2 intelligent Serial LCD display. Engineered to quickly and easily a.. 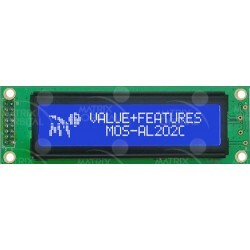 The MOS-AL202C is an economy 20x2 intelligent Serial LCD display. Engineered to quickly and easily a..
Our smallest LCD. Tiny and Mighty! 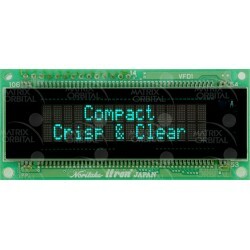 The MOS-AL162F is an economy 16x2 intelligent Serial LCD .. 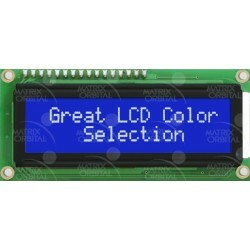 The MOS-AL204B is an economy 20x4 intelligent Serial LCD display. Engineered to quickly and easily a.. The MOU-AV162A is an economy 16x2 intelligent Serial VFD display. Engineered to quickly and easily a.. 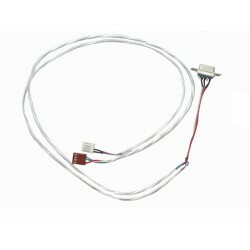 The MOS-AL242A is an economy 24x2 intelligent Serial LCD display. Engineered to quickly and easily a..